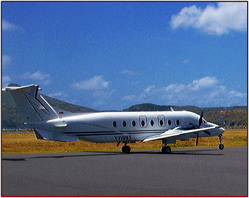 Canouan Aviation Services was created out of the amalgamation of a group of reputable locally owned and operated FBO’s spanning over twenty (20) years of operation at Canouan Airport. As such, we boast over twenty (20) years of collective Aviation Services, professional experience and Customer Service quality that is ‘second to none’. Canouan Aviation Services and Sister Company Vincy Aviation Services provides Handling Services in the Caribbean tailored to all types and model Aircrafts. Our Staff is experience in the requirements of the TSA and FAA as well as US and European Customs Regulations. We also provide contracted services to Shell Aviation and Fed Ex. We have a history of handling some of the world’s most famous celebrities, companies and Aircrafts and in keeping with our intention to provide exclusive and exceptional quality service to our customers; we have recently reequipped our FBO with the best quality equipment and facilities for our Customers satisfaction and comfort. Canouan and Vincy Aviation Services have been providing fuel services to Aircraft over the last four years. Canouan Aviation staff has previously provided aviation fueling services for Shell Aviation by Contract. Our fueling staff is fully trained and certified and we have recently taken over the supply and management of the fuel facility at Canouan Airport (TVSC). We also provide fuel services at most Caribbean Airports. We recommend pre-arranged fuel order. Payment: We accept major Credit Cards, AVCARD, Colt, Multi Service Card and Cash. Relax; leave it to us at Canouan Aviation to take care of you and your Aircraft in this exquisite Island paradise, Canouan. We are sales agents for many of the Regions Airlines and Aircrafts. We are represented in most Caribbean Airports by professional Service Agents who take care of our customers connections while in transit.